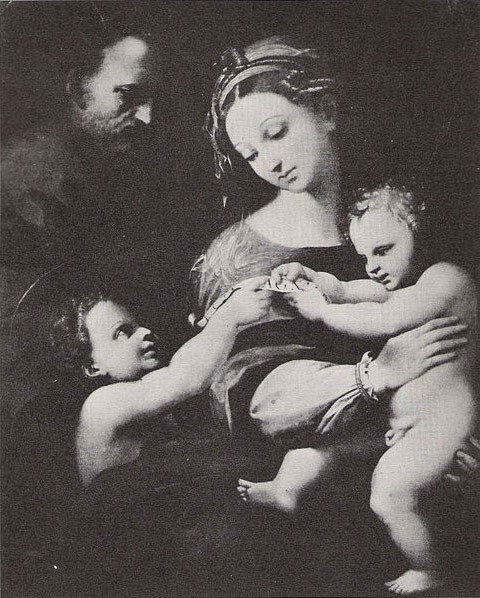 The Madonna of Colonna was painted by Raphael in 1508. It is in the end of his Florentine period when he executed the painting. It is one of the many religious paintings the artist made. The painting was said to resemble another of Raphael’s artwork, The Colonna Altarpiece located at the Metropolitan Museum of Art in NYC. The gallery where the painting may be found is in Staatliche Museen zu Berlin, Germany. The painting portrays the image of the Virgin Mary holding the baby Jesus. The figures as painted by Raphael show the relationship between them. It is very typical of Raphael to show intimacy between the figures to show its relation with one another.